I'd wanted to make this post last week, but decided to wait until Young Avengers 15 came out, on account of possible spoilers. Anyhow, COMICS! I got to draw a bunch more of them last year -- from my two issues of FF, to my issue of Batman '66, then finishing my graphic novel Bloodspell, with short stories in Young Avengers and Batman: Black and White. Even got to do an issue of Fantastic Four/FF toward the tail end of 2013, inked by Mike Allred! That one hasn't been revealed yet, so I'll hold off posting it here. Thanks so much to everyone who has supported my work, whether fiscally, by purchasing my comics, artwork, prints and so on, or simply by following my work online. I truly appreciate it. 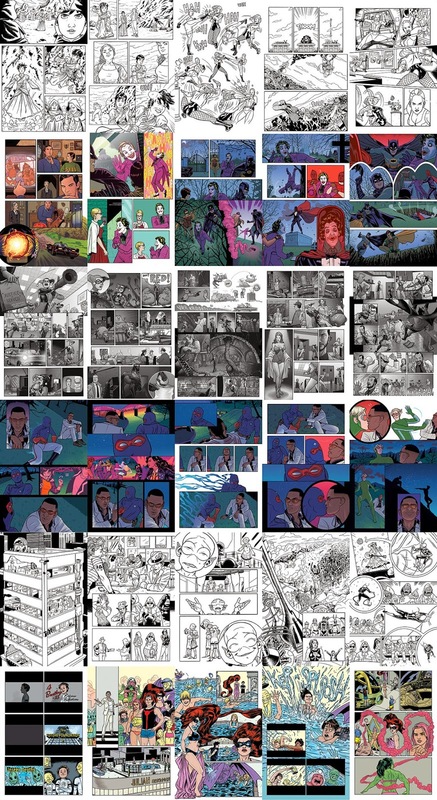 Thanks also to the amazing colorists who helped finish these stories -- Laura Allred on FF, Maris Wicks on Batman '66 and Young Avengers, and Dave McCaig on Black Canary and Zatanna: Bloodspell (not pictured here).